Before sunrise on any given day, Defense Intelligence Agency Director Lt. Gen. Robert Ashley, keenly aware that dangerous conflicts abroad could instantly affect the United States, slips out of his residence on the Joint Base Bolling-Anacostia facility and straightaway heads into his office. Less than a mile from his home, inside the gleaming, modern and technologically sophisticated nerve center of U.S. defense intelligence, he starts a round of intelligence briefings and situation reports. These sensitive meetings, in an era where deadly skirmishes break out routinely, provide reassurance the U.S. is ahead of the situation, but they also generate concern that follows him home at the end of each day. Dual-use technologies are those that are normally reserved for civilian purposes but may have military applications, as well. Countries facing nuclear sanctions, such as Iran and North Korea, have been caught numerous times by international nuclear watchdog agencies importing dual-use items for use in their nuclear weapons programs. The stone-faced Ashley, seated between Director of National Intelligence Dan Coates and NSA Director Paul Nakasone on Jan. 29 as they and the nation’s other top intelligence officials, dropped a dire warning to the Senate Intelligence Committee during its Worldwide Assessment. Almost a month later, in late February, during a wide-ranging, exclusive interview with WTOP, Ashley sat on a brown leather couch, holding a Minnesota Vikings coffee mug, in a spacious office overlooking the Potomac River, with the Pentagon and Washington’s federal government offices visible in the distance. Military and Homeland Security aircraft occasionally buzzed in and out of view, reminding him from his perch of the importance of DIA’s mission. Providing “decision vantage, for the nation’s senior leadership and the war fighter is the agency’s main objective. We do that by understanding military capability,” Ashley said. The entire U.S. intelligence community is concerned about the rapidly accelerating pace of technological advancement, coupled with existing sophisticated, dangerous weapons capabilities by U.S. adversaries. But their main concern is that U.S. adversaries are collaborating more than at any time in the past. “One of the things that’s interesting in how the environment is developing, is really just the speed of human interaction,” Ashley said. Those exchanges, which are cutting into the superior military, intelligence and technological advantages the U.S. enjoys over its rivals, leave Ashley with a single question to wrestle with every day when he leaves the office and heads to the gym. Chinese military expansion, another significant concern in its own right, has compounded U.S. intelligence concerns because of recent evidence they have been collaborating with Russia on research. But other worrying evidence has emerged as well. In September 2018, military forces from both nations conducted Vostok 2018, a combined military exercise in Eastern Russia. It featured more than 300,000 troops, 36,000 military vehicles, 1,000 aircraft and 80 ships, and it was the biggest Russian military exercise since the Cold War. When asked if such a massive show of force was perceived as evidence Russia and China may be planning to combine forces against the U.S., Ashley, referred to the post World War II military definition of an ally. 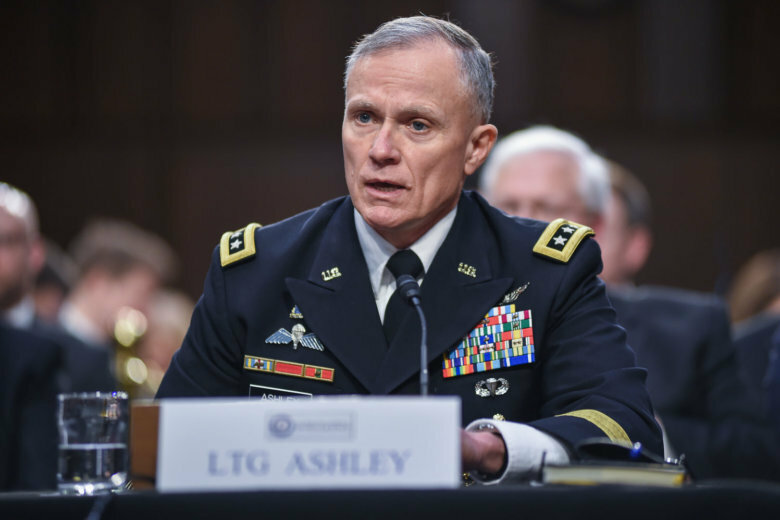 Ashley said Russia and China can conduct a massive military exercise, but the integration necessary to engage in “combined arms warfare is a very complicated thing to do,” and he doubts that either Russia or China have the discipline to do that. DIA is made up of approximately 16,500 men and women and “a little less than half of them work inside the beltway,” Ashley said. The agency by mandate, plans, manages, and executes intelligence operations during peacetime, crisis and war around the world. The diverse workforce is skilled in military history and doctrine, economics, physics, chemistry, world history, political science, biosciences and computer sciences. Its personnel travel the world, and meet and work closely with professionals from foreign countries. Ashley — who has served in the Balkans, Iraq and Afghanistan on his way up the leadership ladder — is hailed as a tough, seasoned soldier, who has seen his share of triumph, but who’s also had to lead DIA in times of tragedy. On Jan. 17, 2019, during an agencywide mentoring summit, he took the podium and spoke in his usual even, clear tones about the value of mentorship in achieving the agency’s mission, which often times puts them in harm’s way. He never let on that just hours before the event, he’d learned that one of their own, Scott A. Wirtz, a Defense Intelligence Agency civilian, died on Jan. 16, along with three other Americans following a terrorist attack in Manbij, Syria, while supporting Operation Inherent Resolve. Weeks later, during his interview with WTOP, the hardened warrior’s voice cracked and his eyes grew moist as he reflected on his career, the dedication of DIA employees and the importance of their mission.